The finest receptionists and technology to support or replace your in-house team. Amazing people, briefed by you to manage chats exactly as if based in your office. You may not have a clear idea of how you'd like us to support you. That's absolutely fine - provide us with a few details and we’ll be in touch right away to talk through the options. Alternatively, call us on 0333 202 1005. We like to talk. Recruited for attitude, our team take pride in being the finest PAs and receptionists in the land. They’re with us for the long-term. Continuous in-house development and partnerships with global brands give you direct access to the very latest technology. 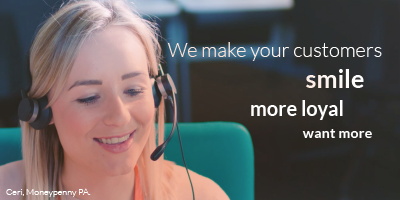 Call us on 0333 202 1005 to discover how we will help your business.